The key to making the memory palace word is vivid imagery, so if that works for you, then great! Make sure you think about the key elements of location and recall. Twice a week, when I am on form, you get these episodes that aim to help you become a better language learner. So, I hope you enjoy them. Recently I talked about a new project that I am working on called conversations. Here is the thing. You are learning a language you are kind of at an upper beginner level. You have been learning for a few months. You are past the beginner stage and you want to be able to understand native speakers. So, you need to listen to the language being used. But where do you go to get listening material. The beginners stuff in text books is kind of too easy for you now. But you can’t turn on the radio or watch tv because it is just too hard for you, right? So, what do you do? That is what I am creating. I am making a library of listening material for different levels in different languages. So, for example, if you are at an A2 upper beginner level in French and you want to learn to understand French people when they speak. With this conversation product, what you get is a series of substantial dialogues. So not your kind of short 20 second text book display dialogues but something interesting that is two or three minutes long that is at your level that you can listen to and then you get the transcript and the translations and the word list, all that stuff. It’s like everything you need to learn to understand native speakers. That is what I'm working on. And anyway, the reason I mentioned that is because it is really picking up steam now and we have samples ready in Chinese French and Italian. And I am looking for some people to help me test those samples. So, if you would like to help me out and get a few of these samples and just use them and tell me what you think, that would be really really cool. The best place to do that is to come to the Facebook group, which is called Olly Richards Fluency Mastermind. And you can find that, just go to Facebook and search in the title bar you will find it. Again, its Fluency Mastermind. But if you are in China or somewhere your Facebook is blocked you can just send me an email through the contact form on the website, that is fine as well. I'd really like to get your feedback on this if you like it or not, and if you do then I'm going to roll out the full thing, in different languages as well German Spanish Japanese. So, let me know if you are interested in that. 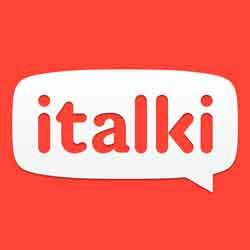 I'd like to thank the sponsors of the show and if you're looking for a reliable professional language teacher that you can take lessons with anywhere, then italki is the place that you can do that. And you can get a free lesson, $10 worth of credit from italki by going to iwillteachyoualanguage.com/freelesson. Now we have got a very technical question today. Perfect for those of you who are interested in memory techniques and specifically memory palaces. Let’s get in to the question from Fletcher. Fletcher: Hi Olly, my name is Fletcher. I've been listening to your podcasts for maybe two months now or so, a month and a half or something like that, and I've been using memory palaces. I've heard you talk about them and also some other experts out there. And I have a question. I was using a simple technique of a supporting image, like a bicycle, and placing images on that as a way to remember just like a 10-item list or so. And I find that that sticks really well in my mind and I can remember those images. And it made we wonder could I do something like that in a memory palace location. So, could I put like an image, something simple instead of something with crazy action at, just a simple image and at the various points on that supporting image, like with the bikes and a tire or the axle or the handle bars, then put the more complicated full image with the bright colors and action and things like that. Anyway, I was wondering if you had any thoughts on that or knew of anybody that had done that. Any ideas? Olly: Hey Fletcher. Thank you for a very very cool question. It is nice to get in to some detail with different techniques. The thing is as soon as we talk about this we are probably going to lose like 99 percent of the audience. So, what I'm going to do is I'm going to back up and talk about memory palaces in general and then address your specific point at the end. Because I think I have got a fairly succinct answer to that I think. So, what is a memory palace? Well for those of you that don’t know many years ago, so the story goes, Simonides was in a banquet in Ancient Greece and he was up on the stage and he was talking to the audience. I think he was asked to recite some poetry or sing some songs or something like that for a very wealthy local businessman. And at one point during the evening there was a knock on the door and two people came and asked urgently to speak to Simonides. So, Simonides rushed outside and talked to these two people who wanted to deliver the message to him. And as they were talking outside disaster struck, there was an earthquake or something and the entire building collapsed killing everybody inside. Now the damage was so extensive that when the rescuers came they couldn’t even identify the bodies because they were so damaged from the collapsed building. But what Simonides was able to do was he was able to identify the bodies by recalling who was sitting where in the exact layout of the room. Now the reason he was able to do this was because he would picture himself standing on that stage and he would go back in his mind and he would see everybody who was sitting at different parts around the room, the table they were at, the way they were reclining on the sofa, what they were doing, what they looked like. And by casting his mind back and going around the room bit by bit he was able to identify all of the bodies. Now it is kind of a macabre tale but this, so the story goes, was the foundation of using the concept of location as a memory aid. So, what you do is you don’t just try to remember a word or a face or a name but you actually place that word in your mind in a particular location. It could be in a room, it could be on a sofa, it could be underneath a chair. And then the fact that you have placed that thing that you are trying to remember in a specific location, it makes it much easier to remember later. That is the foundation of the memory palace technique. So, if you were going to apply this as a language learner then you would start off with a building that you are very familiar with. It could be your living room, it could be where you went to school, it could be your workplace. And you identify certain interesting points around that building. So, let’s say you were using your living room, you might identify the sofa the rug the table a bookshelf. Interesting stations around that room. And then what you do is you take a list of words that you are trying to remember in a foreign language and you would put one word in one of those stations. And then the challenge is to create an image in your mind to help you remember that word that links the thing that you are trying to remember, the word, and the location it is in. So, to give you an example. Let’s say you are trying to remember the Arabic verb which is to come home, which is يـِر َوّ َح in Egyptian Arabic. So, what you might to is you might say, “I want to remember this word يـِر َوّ َح ” and one point in my memory palace, which is my living room, is my sofa. So, I'm going to put this word [foreign word] on the sofa. So far so strange. But what you do then is you create an image. So, you might think to yourself, “What does this word sound like, يـِر َوّ َح ?” and for me what kept coming back in my mind was that the middle sound, the middle syllable in that verb “raw” sounds a little bit like row in English. So, what I did was I imagined myself on a rowing machine on the sofa in my living room and I was rowing in order to do get home. It is kind of crazy weird, but that is kind of the point right. So, then what I would do whenever I wanted to remember how to say to go home in Arabic is I would imagine myself going around my memory palace and I would get to my sofa and I would see myself rowing on the sofa to get home and I would think row يـِر َوّ َح and that would be enough for me to remember the word. Now that is the basic idea of the memory palace and it is extremely effective. It is the most effective memory technique that I know to remember specific words. Now it has drawbacks. Specifically, it can take quite a lot of time and effort to remember one thing. So, you can’t use it to remember everything you learn on a daily basis. It is not fast enough for that. But it is very very effective if you want to remember specific things. Now here is where we are going to get to the question because what Fletcher asked is, “Can I adapt this technique? And rather than having a room can I take for example a bicycle and can I place the words I am trying to remember on different parts of the bicycle?” So rather than having the sofa and the rug, can you have the handlebars and the bell and the saddle and things like that. Well what I would say about that Fletcher is that for a start it is absolutely possible. You can do anything you want if it works. But what I would encourage you to do is to think about the two key features that make the memory palace technique effective. That is firstly location, and secondly recall. Let’s take those two in turn. Firstly location. So, you want to create a mnemonic using the location in itself. Now in my example I used the sofa, that is pretty vivid for me. I can very easily visualize the sofa in my room. Now can you do that on a bike? I guess you can if you have got a strong image of a bike then you can figure out the handlebars and the wheel and all of that. So, that is possible. You have got to make sure that you really know that location intimately. The second one, which I think is more problematic, is recall. Now the way that you practice recalling words with the memory palace technique is by walking through the memory palace. So, let’s say that you put 10 words in your living room as the memory palace. The way that you would then review those the next day and the next week to make sure that you actually learn them and don’t forget them is by walking through the memory in your mind. So, you walk in through the front door and you turn left and you go to the sofa and then you go to the rug and so on and so forth. And that systematic journey through the memory palace is how you recall and test yourself on the words you are trying to learn. Now, can you do that using an object like a bicycle. What is the path through the bicycle? Imagine you have got a word on the back wheel and then a word on the front wheel and then a word on the left handlebar and then a word on the right handlebar. Can you walk through that in your mind? Or trace a path through that in your mind such that it makes logical sense to you? If the answer is yes then cool, I think you have basically the same conditions as a memory palace and it absolutely works. So, I think you have just got to think about those things. To test this technique, I would create on memory palace using something more traditional like your living room and then another one with a different set of words using something like a bike as per your idea. And simply test it. Do that for a couple of weeks, try to learn the words, and then after a couple of weeks see whether they both perform equally or if one performs better than the other and just go with what works for you. With memory techniques, it is all about one thing, which is you and your mind and how that works. Because that is the only thing that matters. I love the fact Fletcher that you are thinking outside the box, you are trying to figure out what works for you. And I think that the fact that you have come up with this idea in the first place suggests to me that it may well work for you. So, give it a go and come back and let us know how it goes. Thanks very much for your question, I really appreciate it. If you would like to ask me a question, go to iwillteachyoualanguage.com/ask. Now at the end of every episode I like to leave you with a resource of some kind on the topic of the show. And I have a free memory course that I have created that comes over three days, and it is in three parts, and you learn about the kind of memory techniques that Fletcher is talking about here and some other more really fundamental skills to improve your memory so that you can memorize more words in the language you are learning and ultimately speak more fluently with less stress and forgetting as well because none of us like forgetting. If you would like to take the free memory course you are more than welcome. You can go to https://iwillteachyoualanguage.com//freememorycourse. Once again that is iwillteachyoualanguage.com/freememorycourse all one word. Thank you very much for listening and I will see you back in the next episode of the podcast.